VALESCO-SMS INC. is a duly authorized and licensed overseas recruitment agency in the Philippines with Philippine Overseas Employment Administration (POEA) license No. POEA-101-LB-051018-R, with proven track record in recruiting highly qualified Filipino workers from wide range of industries abroad. It was conceived and organized by highly professional individuals in March 7, 2006. 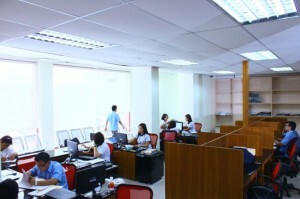 Together with its professionally trained personnel intensifying the recruitment, placement and deployment of Overseas Filipino Workers (OFW).The organization is committed to bridge the labor market and overseas jobs guided by its mission to provide excellent services and total manpower solutions to all our clients. 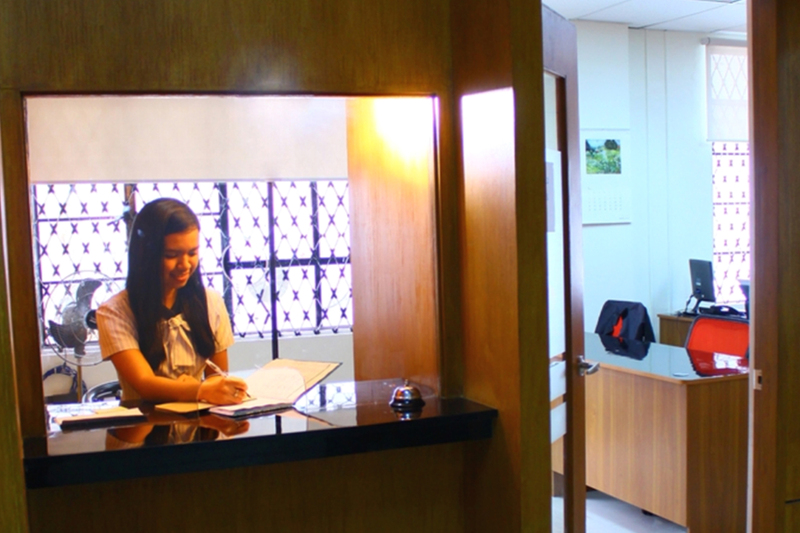 VALESCO-SMS Inc. staff and officers were highly trained and well experienced in their respective jobs and correspondingly perform their function with diligence and dedication to deliver excellent result to comply with the requirements of its principals/employers. For several years of genuine quality services, VALESCO-SMS Inc. has obtained excellent impression among its principals/employers in the Middle East, Gulf Region, Africa, Asia and the rest of the world. 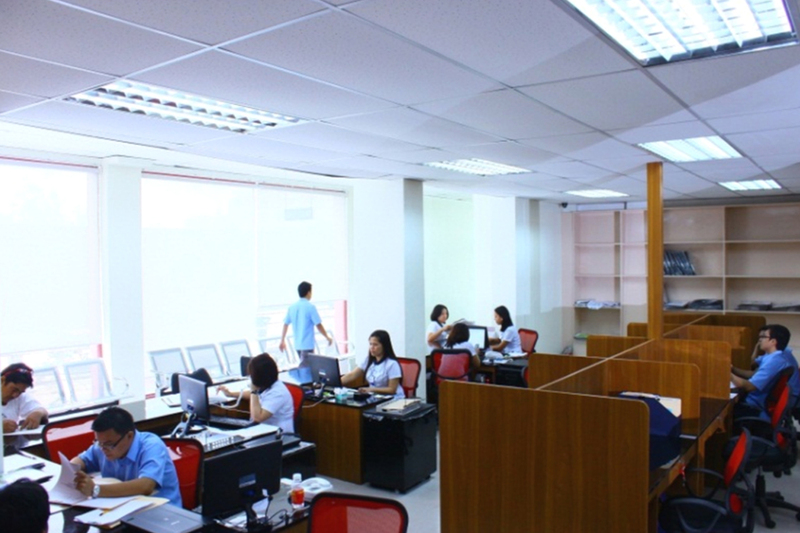 We are one of the many Placement Agencies to recognize the huge potential and advantage of giving our FILIPINO WORKERS a rewarding overseas employment. With VALESCO’s computerization, we have developed a data bank of competent and reliable candidates in different fields which in turn gave us the chance to evaluate from a reliable database of resumes. Currently we are developing our own propriety system to manage the entire manpower recruitment process labeled as Automated Recruitment Integrated System (ARIS version 2.0) then we will integrate our corporate interactive website. Furthermore VALESCO-SMS INC. guarantees our principals/employers of providing/supplying qualified and competent general labors, skilled and highly skilled workers up to the highest ranking position in the ladder of management. "In Valesco-SMS Inc. We don't treat YOU as "Clients". We consider YOU as our "Partner"
MISSION "VESTING FILIPINOS TO WORK ABROAD"
VALESCO-SMS (Strategic Manpower Solutions), Inc. knows the global need for employment. 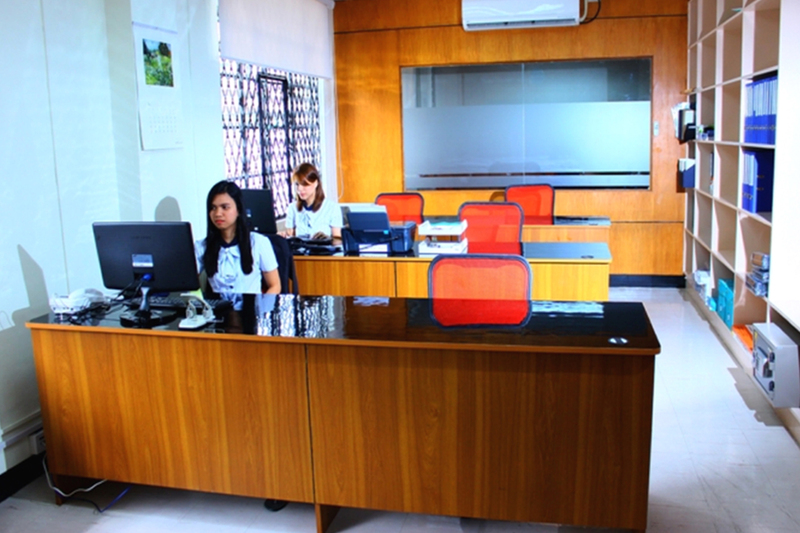 We want to give our patrons a superlative tailored service and to Filipino workers and provide them the opportunity to work overseas. "Provide our principals/ employers with highly skilled, well experienced, competent, trustworthy, and committed workforce. 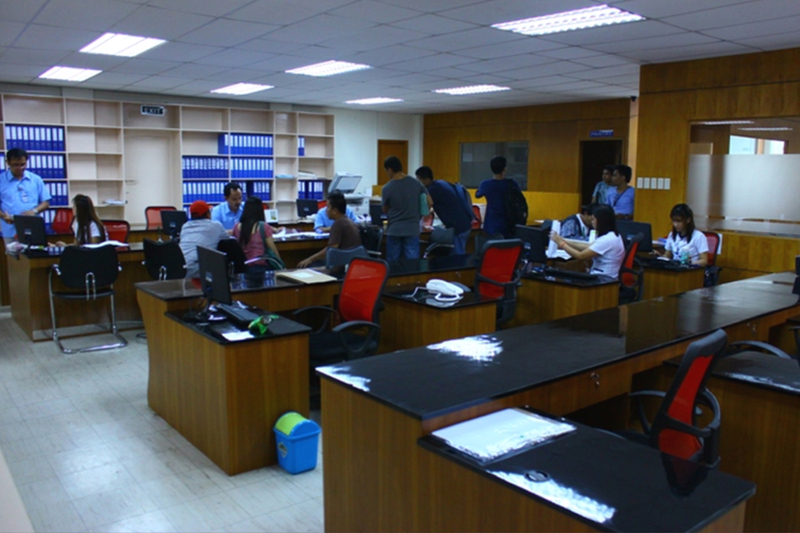 Continuously work together with our partners in different government agencies in safeguarding the welfare of the workers and clients as well. VISION "QUEST FOR SERVICE EXCELLENCE"
VALESCO-SMS (Strategic Manpower Solutions), Inc. shall be the prime leader in the country's Recruitment industry by continuously providing clients with high standard, world-class service and high skilled, well trained competent workforce, by continually advancing its facilities, systems and by firming up strong relationship with clients. 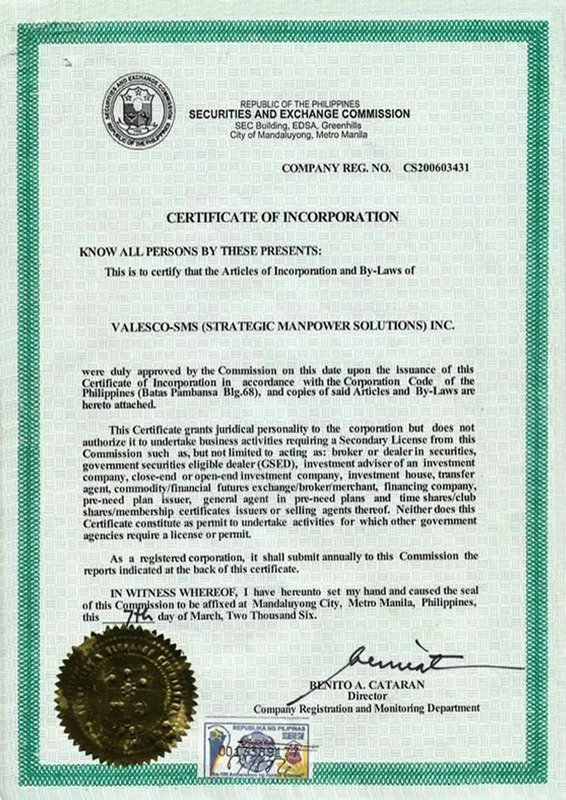 VALESCO-SMS (Strategic Manpower Solutions), Inc. is a supporter of Filipino Workers and believes in his inborn capabilities, skills, talent and eagerness to work and aims to spread out all Filipino workers in the four corners of the world and make them highly competitive in the global marker. VALESCO-SMS INC. supplies manpower in a diverse range of industries. 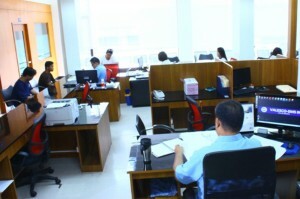 Aside from Company Profile & Flyers, a VALESCO Key official orients clients about the profile of the company. 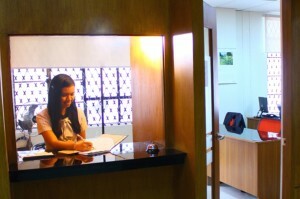 Highly trained Marketing personnel conduct seminars and briefing to other employers and answers queries of clients relevant to the requirements set for workers and other related queries. 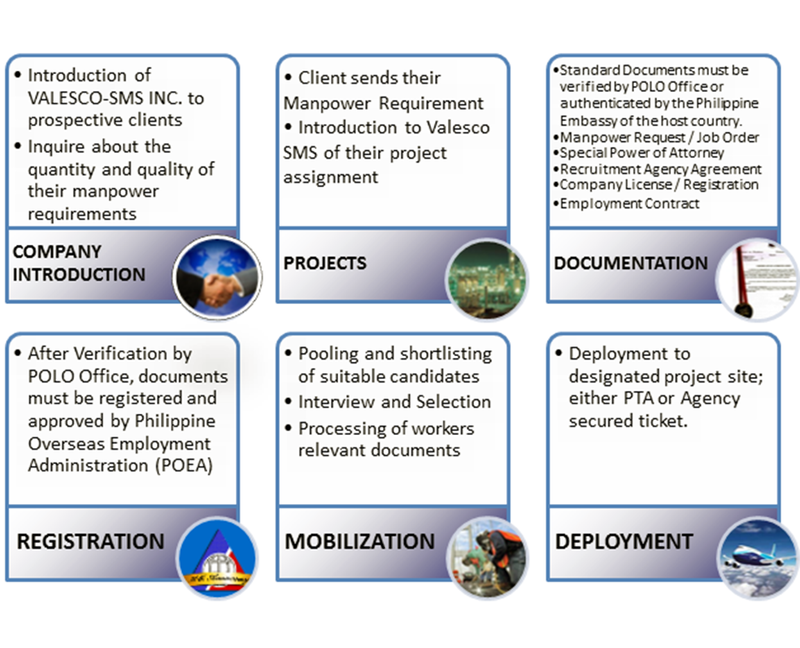 VALESCO-SMS, INC. receives Manpower Requirements from the clients and likewise offers a pool of qualified and well trained workers that are apt for the certain project. 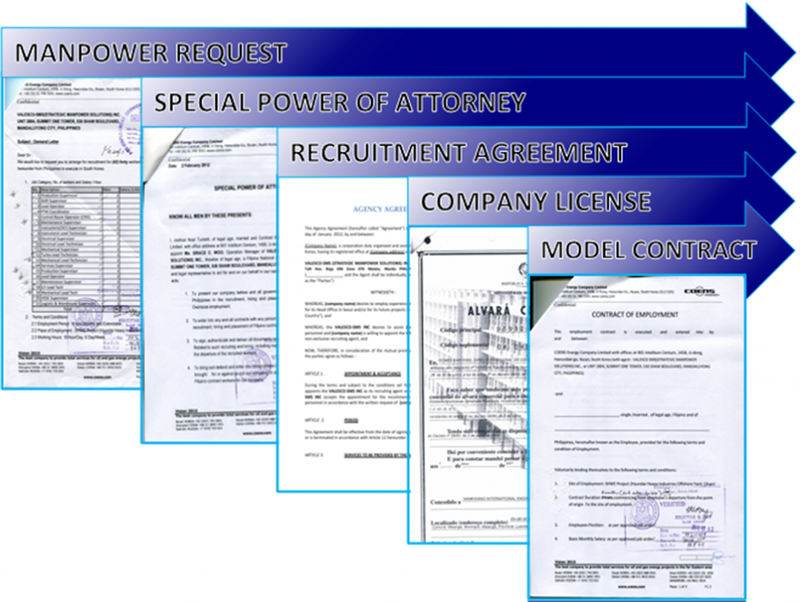 We make it a point that all transactions are properly and completely documented. 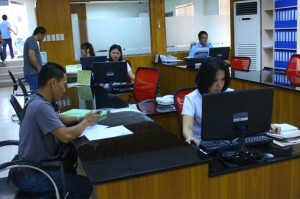 All POLO Verified documents must register to Philippine Overseas Employment Administration (POEA).